Building on the current popularity of our smooth heavy gauge Sierra flat-folded sectional door, we have extended our offering to include the Nevada, a premium version that includes a refined negative detail between each panel and superior graphite-infused EPS insulation at its core. Bold horizontal lines created by the negative detailing between each panel provide a greater dimension to the garage opening and are a perfect complement to the current design trends of modern homes. The sophisticated graphite-infused EPS insulator is factory fitted during door manufacture to ensure an accurate fit and improved thermal performance. At the same time the Nevada Negative Detail door has excellent acoustic dampening qualities, providing a perfect shield against noise entering and/or exiting the garage. Whether matching the roof, walls or windows, the Nevada Negative Detail door has the colour palette to suit. Available in Zincalume® or Powder Coated from a range of quality Dulux® Powders, a home’s unique colour scheme will be enhanced by this exciting new sectional door offering. 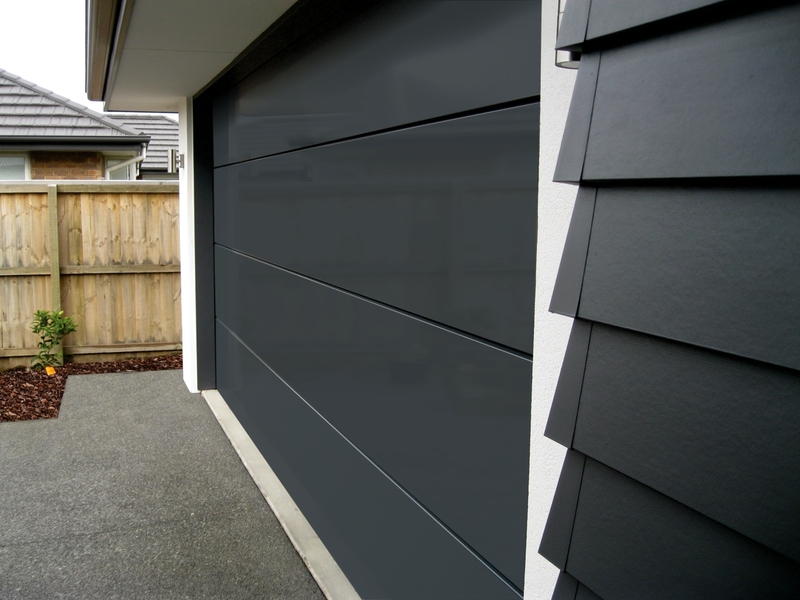 For further information on sizing, automation options and installation requirements of the new Nevada Negative Detail sectional door, visit www.garador.co.nz or www.dominator.co.nz.